There is nothing like a fresh loaf of Italian bread dipped in herbs and extra virgin olive oil. This is served often in an Italian American household on a Sunday with a big macaroni dinner. 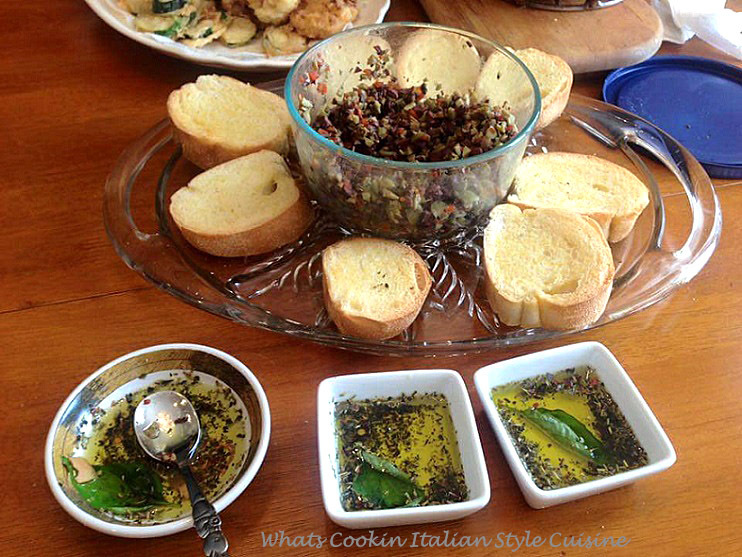 We love this kind of appetizer with a little wine, vino and this dipping oil is a delicious starter to a main course. You will also find it in many Italian restaurants in New York. To Serve: Combine about 1 1/2 teaspoons spice blend to 3 to 4 Tablespoons Olive oil on a small Dish. Optional add Balsamic Vinegar to taste also. Dip sliced Italian Bread in Mixture. Dipping herbs mix for Italian bread is nice. Thank you very much for sharing. Cheers ! There is nothing better than good bread and good, flavorful oil! This will make a great hostess gift this holiday season! I can't wait to make it.